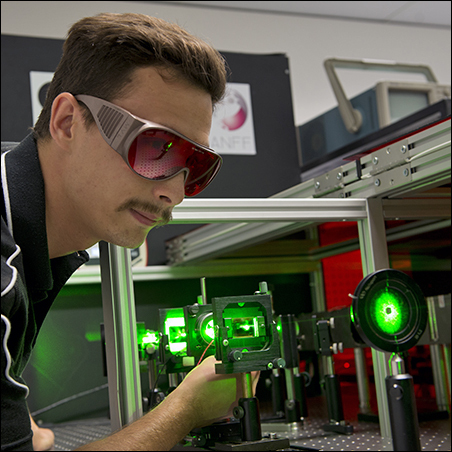 The research facilities at CUDOS @ MQ consist of multi-million dollar state-of-the-art laboratories all housed within the Australian Hearing Hub building on the Macquarie University campus. 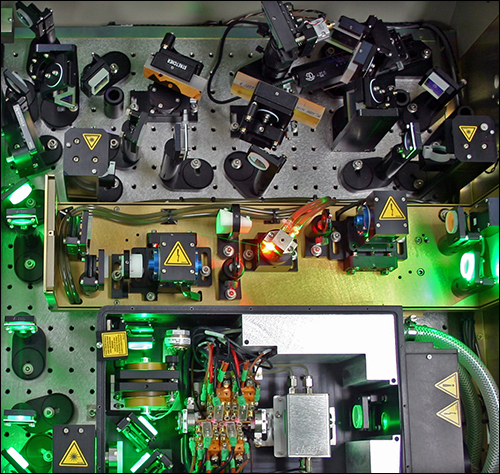 Our current laser systems and nanometric 3D positioning systems are used to investigate the interaction between ultrashort laser pulses and optical materials for tailored fabrication of 3D waveguide devices. 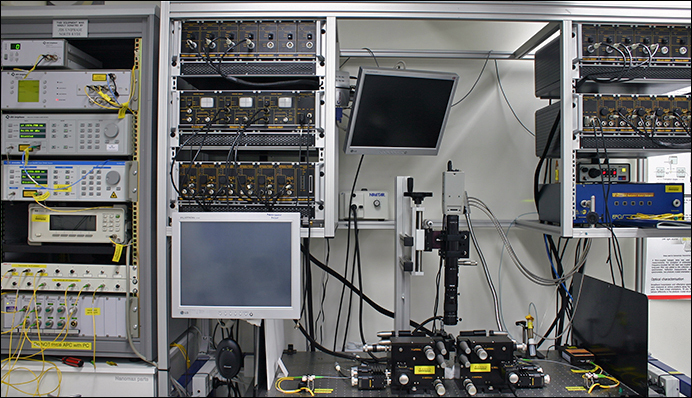 These laboratories host the following equipment used for optical characterisation and device packaging. 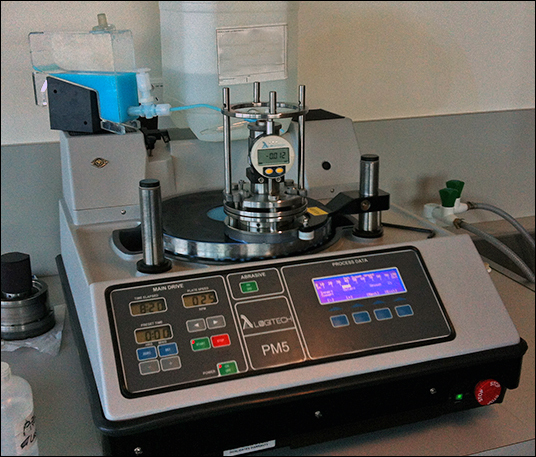 In addition, members of CUDOS @ MQ have access to a Class 35 (US Standard class 1000) clean room which houses a mask aligner, scriber, wet-chemical bench, vacuum deposition system and profilometer to meet lithographic needs. 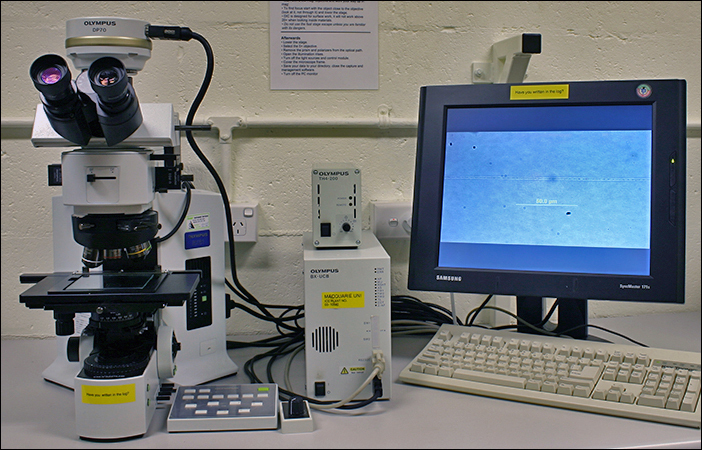 Access to microanalytical tools is also available in the form of a JEOL analytical Field Emission SEM and a Veeco 3D Optical Profiler.